When will we address climate change? Will it be when salmon can no longer spawn in Washington waters? Will we do something to curb carbon pollution once the orca has gone extinct? Or will we do nothing as wild species disappear one by one throughout the Pacific Northwest and the world? This November, Washington state must vote to protect wildlife for generations. If passed, Initiative 1631 would be the first Carbon Fee enacted by popular vote in the world. 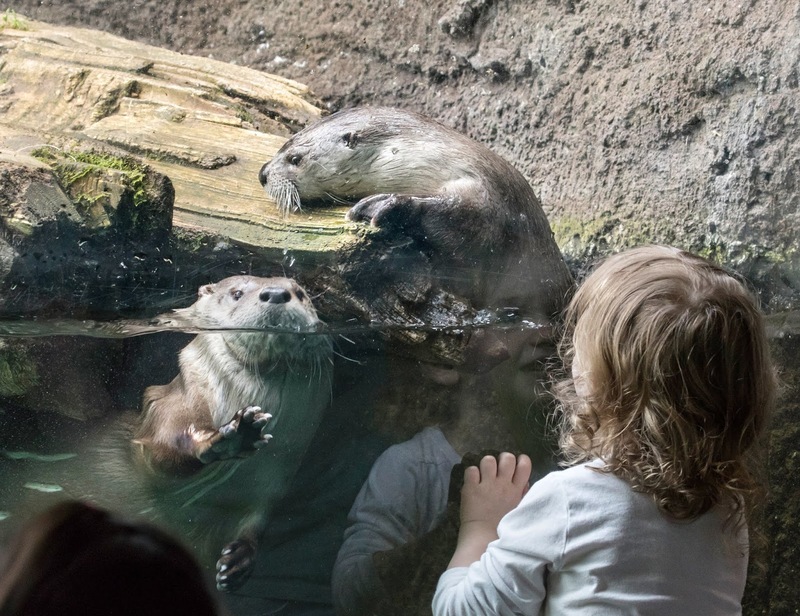 Woodland Park Zoo fully endorses Initiative 1631 because the health of the Puget Sound region, its people, and wildlife are impacted by climate change. Initiative 1631 brings together a wide and deep coalition of citizens from agriculture, manufacturing, business, labor, Tribes, communities of color, environmentalists, and faith communities – Initiative 1631 is truly a citizen’s initiative. Democracy starts with those who participate in it. The broad and diverse coalition behind Initiative 1631 demonstrate to our elected leaders how to build effective support for policies that mitigate the impacts of climate change. As it has been so many times in its past, by passing this Initiative, the State of Washington would be a national pioneer. Now we have the opportunity to lead not just the country, but our planet, on the foremost environmental issue impacting wildlife and human civilization. At Woodland Park Zoo, we strive to prevent extinction and save wildlife here in our region and around the world. Climate change is the biggest threat of our generation. Record-breaking world heat records, summers choked by smoke from wildfires, increasingly erratic snowpack (that we rely on for clean drinking water and that salmon need to reach Puget Sound), and rising sea levels from melting glaciers all combine to create a threat to our existence. Wolverines require snowpack to build their dens, they cannot raise pups without it. If wolverines disappear forever other species will vanish as well. The ripple effects in our ecosystem will harm the health of our forests, drinkable water, and breathable air. Their survival, and the survival of many other species like them, depends on our commitment. A wolverine is caught on camera as it approaches a noninvasive hair snare designed to snag a hair that can be used for DNA testing. Photo: Robert Long/Woodland Park Zoo. This past summer, Seattle witnessed firsthand the impacts of climate change from burning wildfires across the Pacific Northwest. Choking smoke and a haze that limited visibility created unhealthy breathing conditions for everyone. Fire has always been a natural part of our ecosystem and many species rely on the renewal created by wildfires. Unfortunately, this cycle of renewal that used to take place over generations has accelerated with hotter, drier weather that lasts longer during the summer months. Climate change in our region is stretching fire season from early spring through late fall, destroying critical habitat for animals and plaguing our summers with unbreathable air. Over 97 percent of global climate scientists agree that climate change is caused by human activity. If 97 out of 100 heart doctors said you need a triple-bypass, wouldn’t you start clearing your schedule for surgery? Climate change is as serious as a heart attack and we need to do something soon and big if we hope to prevent its worst impacts. Initiative 1631 does just that. Initiative 1631 will appear on your ballot as, “Initiative Measure No. 1631 concerns pollution.” The Initiative places a fee of $15 for every ton of carbon dioxide emitted into the atmosphere by polluters. Within the first five years, the levy would generate approximately $2.2 billion. Lawmakers would be prohibited from spending these funds on anything other than the mandates listed in the Initiative – clean energy jobs and infrastructure, clean water and healthy forests, and investing in our local communities. Every investment will be overseen by a public board comprised of experts from science, business, health, and communities throughout the state. 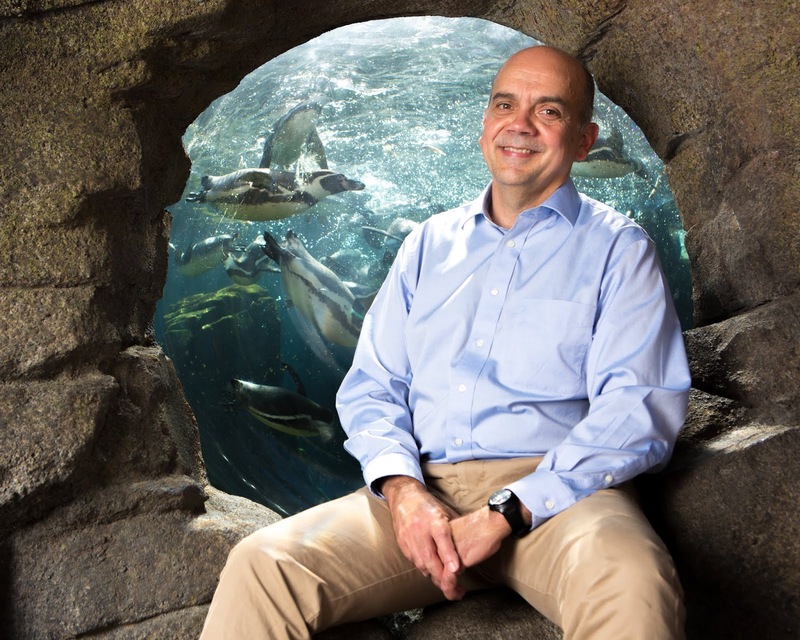 President and CEO of Woodland Park Zoo, Alejandro Grajal, PhD, with our colony of Humboldt penguins. Woodland Park Zoo is committed to fostering a connection between wildlife and humanity. If climate change continues unchecked into the next decade, that connection may be severed forever. We are absolutely in a race against time. In each lifetime there are few opportunities where we can take a simple yet critical action that will ripple out into the world. Voting “Yes” on Initiative 1631 is one such action. To learn more about why Woodland Park Zoo endorses Initiative 1631, visit Yes on 1631 (yeson1631.org).